I was drying off after my morning shower when I spotted something fluttering by in my peripheral vision. I glanced around and nearly missed it, so erratically it was flying about. 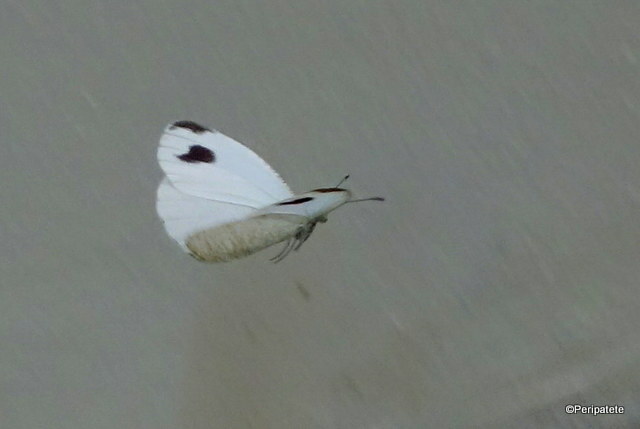 A small white moth, I might not have noticed it had it not been for a couple of black dots marking its delicate wings. The tiny creature otherwise blended in seamlessly with the white-painted walls of the bathroom. It’s both a risk and blessing to be living in a place with a partly-outdoor bathroom. 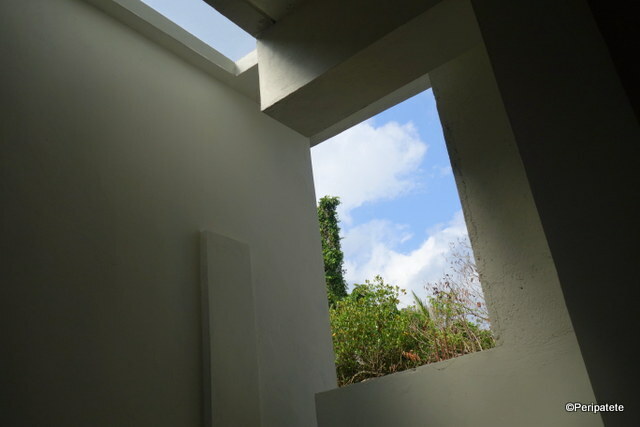 It’s not completely plein air or open to the sky – as many bathrooms are in Bali – in the sense that it has four walls, a roof and a couple of panes of glass inserted here and there. However, there are openings large enough for all matter of creatures to fly, crawl or slither in. Over the past couple of weeks, I’ve been visited by mosquitoes, flies, ants, geckos, spiders, dragonflies and one daring cockroach which, given the utter absence of malodorous garbage and leftovers in my quarters, took me by completely surprise. How audacious and unnerving! I’ve also recently learned that the droppings I find every morning in the corner of the bathroom counter (as do all other residents of this complex) are a nocturnal gift of a flock of birds. I tried employing preventive strategies a few times before I went to sleep, but they outsmarted me – evidently not put off by my amateurish efforts, or simply balked at my soapy mixture so in need were they of a nightly nesting (and pooping) ground. But I’ve yet to be visited by a butterfly or moth. And this morning I was. I stood there, still dripping wet, watching its aerial acrobatics. It bumped against the walls many times, then fluttered away, as if confused by the hardness of this foreign and unnatural material. It blocked its way out. The moth continued to fly about, up to the light – where it was again blocked by a pane of glass. It stayed there a few moments, perhaps hoping that the glass would give way to sky. Then it sailed downwards, on a diagonal path, and I imagined it surveying the bathroom as it did so, thoroughly puzzled. Surely it had found its way in, so now where was the exit? Tip-toeing quickly into the bedroom, I picked up my camera. When I returned to the bathroom, I stood still. The moth fluttered, in slightly uncertain swerves, towards me. Then, when it nearly touched my arm, sensing perhaps the warmth of my skin, it quickly dove out of sight. Moments later, inching its way up again towards the light, it circled around at a higher height, and un-sticking itself from the long string of a cobweb, it flew out. It was a marvelous sight to behold, one that I was grateful to have witnessed. But bittersweet as well, because there’s no denying that we’ve uprooted them and moved into their quarters. It’s no wonder these creatures are paying me a visit; they’re merely returning home. Lovely! I’m glad your moth escaped safely. I seem to remember that cockroaches eat soap…so maybe that’s what your unwelcome visitor was after!